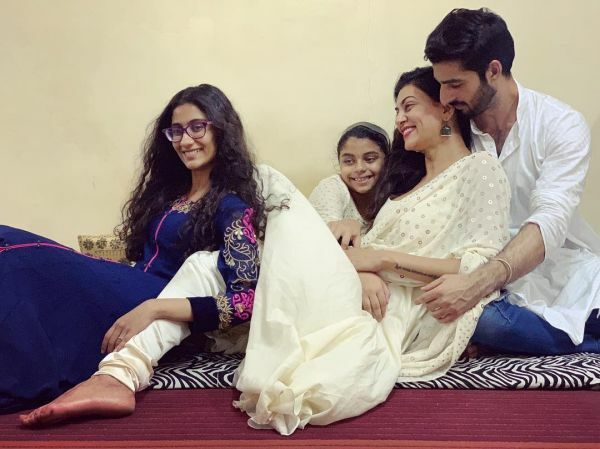 It's Sushmita Sen's birthday and boyfriend Rohman Shawl put out a heartfelt post wishing the actress. Sigh! We just can't get enough of this couple. The actress turned 43 today and we have to say, her love life has been keeping us on our toes! From the adorable family pictures to videos of her daughter bonding with Rohman, they're quite the heartwarming couple. Rohman took to his Instagram account earlier today to share an adorable picture wishing his 'jaan' Sushmita and it's spilling with love. The model can be seen kissing Sushmita on the forehead as the two are standing on a balcony overlooking a glorious sky. Take a look for yourself. Rohman captioned it, "Hey hey look who’s birthday it is !! Happy birthday my jaan. I know I am a man of few words so let me choose them wisely !! The most important day of your life so let's make the most of it, may you have a wonderful year ....for amazing times ahead !! #SS I LoVe YoU #forever". Sushmita and model Rohman Shawl met at a fashion show two months ago and hit it off. The Main Hoon Na actress has been sharing pictures on social media with the model and she has made their relationship Insta-official. They were recently seen vacationing in Dubai and even celebrated Diwali as a big happy family alongside Sushmita's two daughters. The daughters and Rohman seem to get along fabulously! Currently, the actress is vacationing in Dubai with her daughters and her mom. Is her Dilbar with her on her special day? I guess we'll just have to wait and watch her Insta stories.